I went to Liquipel my phone today. 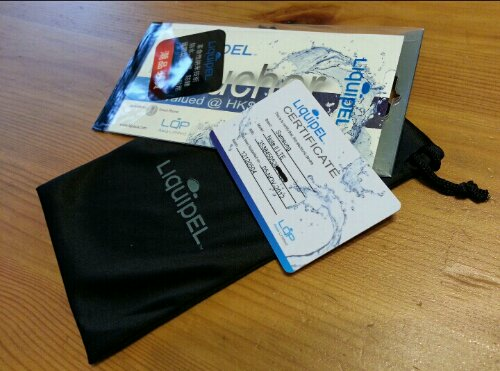 Liquipel is a process which allows you to effectively waterproof your phone. The process involves the permeation of fine nano particles to the inside and outside of the phone. The process does not require you to take apart your phone. Batteries can be done individually as well if it is removeable. In fact they allowed me to have my spare battery treated at the same time. When you leave your phone with them you need to wait 2hrs before you get your phone back. For your efforts you also get a soft Liquipel pouch and a registration card. If your phone needs servicing within 90 days of applying the Liquipel you get to do your phone again for free.